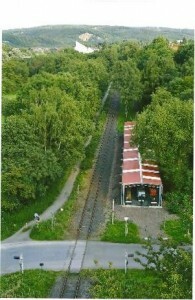 The Muttenthalbahn e.V. 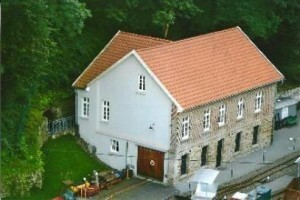 working group placed their domicile on the land which has been situated below “Schloss Steinhausen“ in Witten-Bommern since 1989 on the grounds of the former coal mine Zeche Theresia which was closed back in 1892. 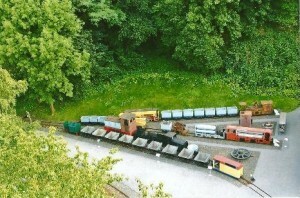 This former colliery belongs among those of the early coal industry south of the River Ruhr. 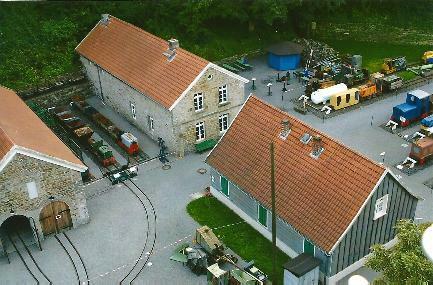 All the listed operating buildings had been redeveloped for use as a museum. 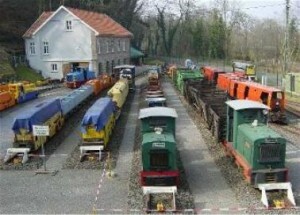 Compressed Air Locomotives, passenger and freight carriages from the mining industry, as well as a number of tip waggons from the narrow-gauge range which will awaken interest to the visitor. 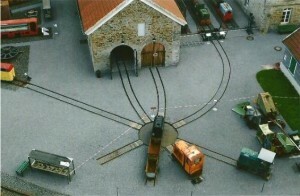 The exhibition rooms offer an insight into the history of mining and narrow-gauge railways, not to forget their presence in today’s day and age.